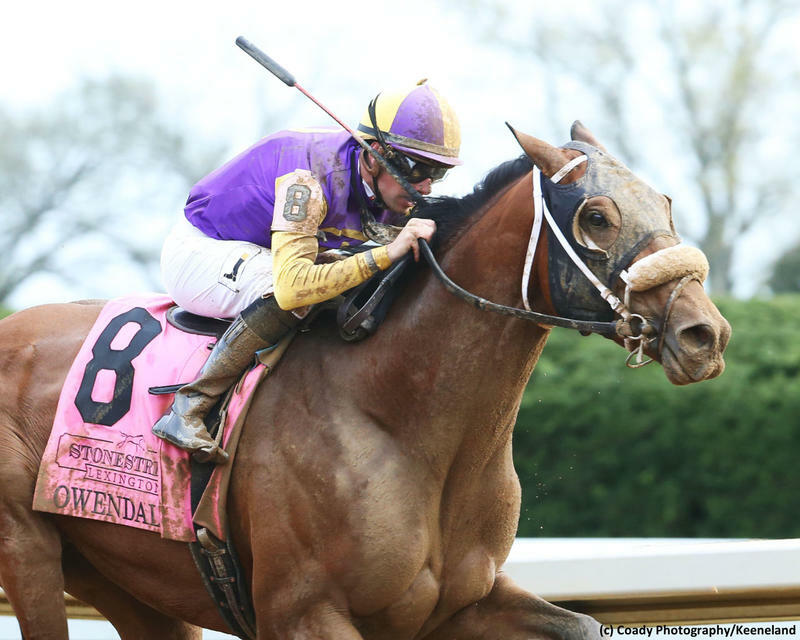 Owendale began passing rivals on the far turn and accelerated to a clear lead entering the short stretch of Saturday’s $200,000 Lexington (G3) at Keeneland. Anothertwistafate tried to rally into contention along the inside but couldn’t threaten Owendale, who recorded his first stakes win with the 12-1 upset. Florent Geroux picked up the mount for Rupp Racing and Brad Cox. The penultimate qualifier in the Road to the Kentucky Derby series, the 1 1/16-mile Lexington awarded points on a 20-8-4-2 scale and Owendale could point for the May 18 Preakness (G1) after garnering his first points. His 1 ¾-length victory hurt Anothertwistafate’s Kentucky Derby chances. Favored at 7-5 after winning the El Camino Real Derby winner and finishing second in the Sunland Derby (G2), Anothertwistafate increased his total to 38 and will need defections to make the 20-horse field from the 21st spot on the leaderboard entering the Arkansas Derby (G1). A maiden winner when making his third start at Indiana Grand last September, Owendale defeated entry-level allowance rivals three starts later at Fair Grounds. A $200,000 Keeneland September yearling purchase, the son of Into Mischief was exiting a well-beaten eighth in his stakes debut, the February 16 Risen Star (G2) at Fair Grounds. Owendale stopped the teletimer in 1:44.14 and with the $120,000 winner’s share, he increased his career earnings to $187,225 from an 8-3-1-1 ledger. Anothertwistafate held second by a 1 ¼-length margin over 7-2 second choice Sueno, who was exiting a third in the Louisiana Derby (G2) and will need help to make the Kentucky Derby with 32 points. It was another five lengths back to Knicks Go in fourth.